Sunsets of great emotions … The parties at the end of the afternoon are increasingly the business card of Nosoloágua Vilamoura. After a day of beach nothing better than to end in great spirit and fun with the most varied cocktails, surrounded by beautiful and lively people. 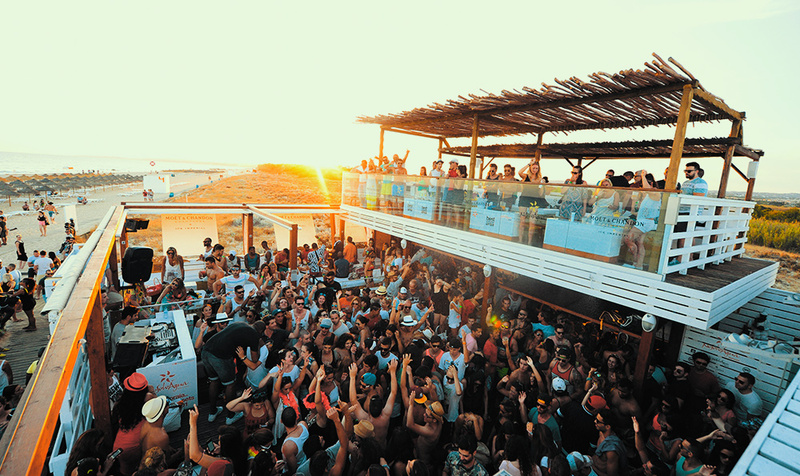 On the beach of Falesia, there are thousands of holidaymakers who move purposely to attend theme parties, listen to the sound of national and international dj’s and simply have fun in a unique environment. On arrival at Falésia beach, NoSoloÁgua Vilamoura welcomes all those looking for a relaxed yet quality environment. Between a sea bath and an afternoon of sun, there is no one who could turn down a refreshing drink. And if this comes accompanied by good music, then it’s a perfect day! The NoSoloÁgua Vilamoura is one of the reference spaces in Vilamoura, its privileged location, with a superb view to the dunes of the Falesia, in a great way contributes to attract the public. 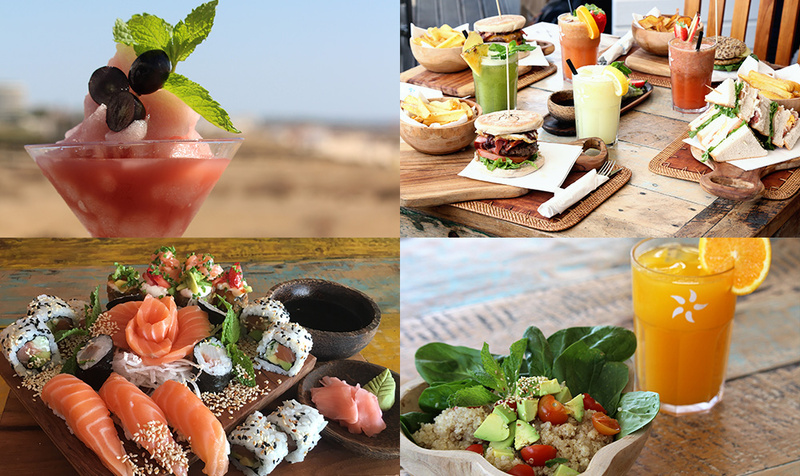 Ex Libris of Praia da Falésia, the seafront bar planted at NoSoloÁgua Vilamoura is the ideal place to relax while sipping fresh juices or cocktails. 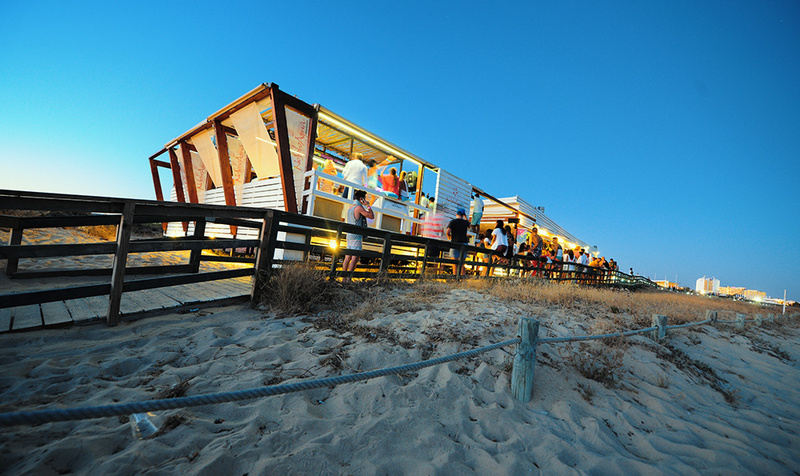 With the dunes on the back and the sea front, the NoSoloÁgua Vilamoura is another success story that, from year to year, only translates into more fans always adept at the entertainment of the Sunsets, where one can dance barefoot in the sand with the Moon to illuminate the improvised dance floor. Whether for the top DJs or the unique and relaxed atmosphere of cosmopolitan parties, the truth is that NoSoloÁgua Vilamoura continues to revolutionize from morning to night the life of Vilamoura’s most famous beach since 2001.